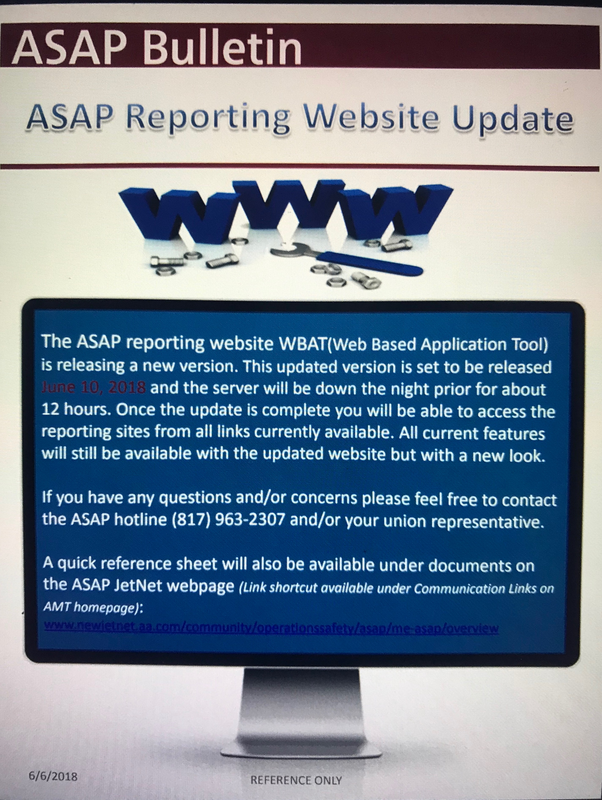 On Jun 9th, the method we use for filing ASAP’s (WBAT/ Web Based Application Tool) will be shutting down for 12 hours and will be coming back in a new easier to use tool. If anyone needs to file an ASAP during that time frame, please contact a union rep, or us (Joe Absalon or Harry Charalambous). 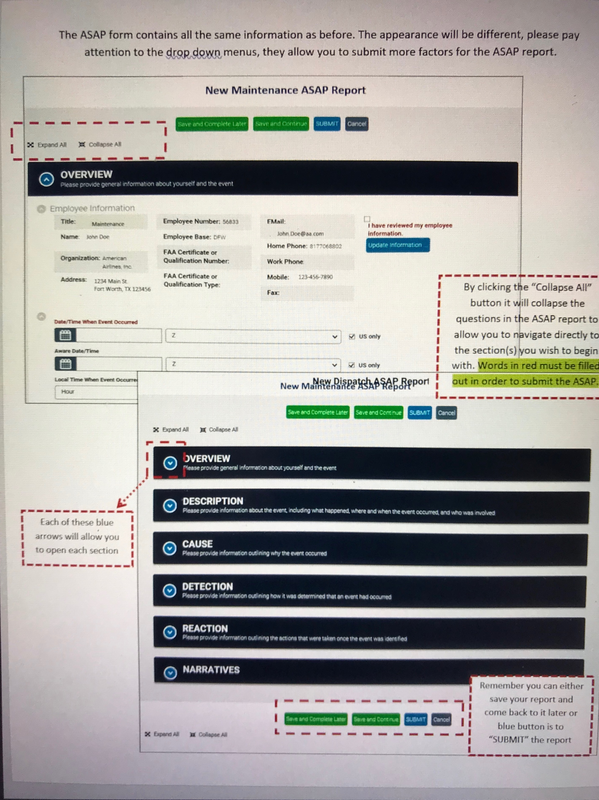 We can then inform the ASAP ERC that an ASAP will be coming and can then be submitted with the new system as soon as available. We will also be doing a tutorial video as soon as possible, and have it posted on our website. Please see attached bulletins for more information. Attention all Title I members. Effective today, there is a change to GPM 13.19.3 A (Monitor and challenge policy). 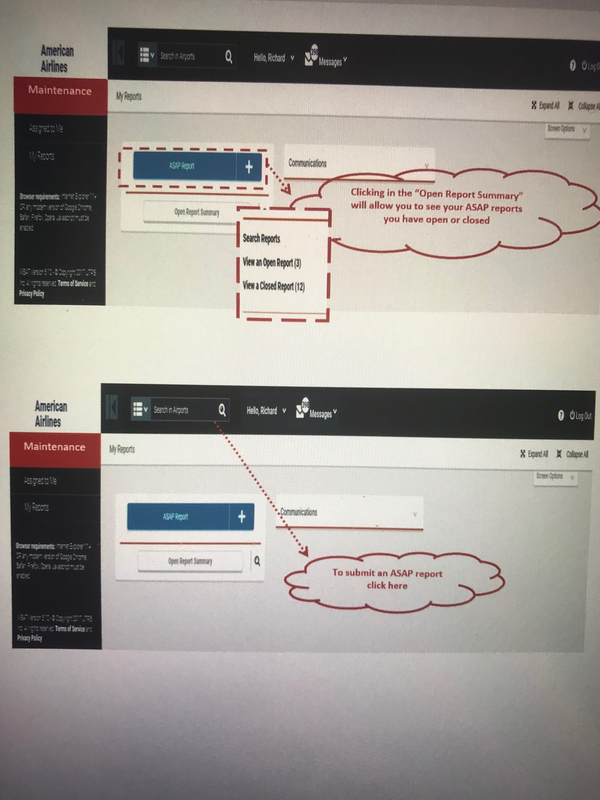 There will be 2 forms(checklists) required when accomplishing any type of Monitor and Challenge process, and will be required to be stamped and stapled to the paperwork. The forms will be 10127 and 10151. 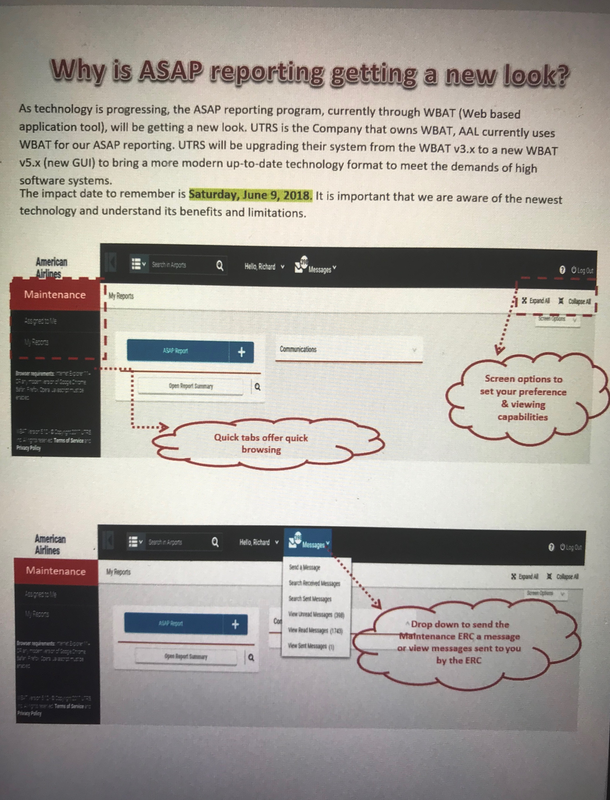 The ASAP numbers from the first of year is 163 reports with "Critical Behaviors and IAW" being the biggest drivers in the reporting.